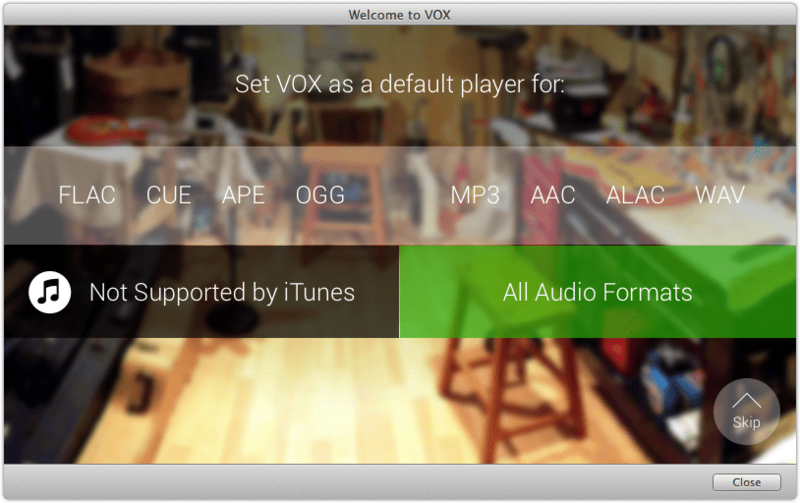 Vox is a versatile music player the same as Winamp is for windows. It’s capable of playing back almost and file in almost any format and integrates nicely with your iTunes library. 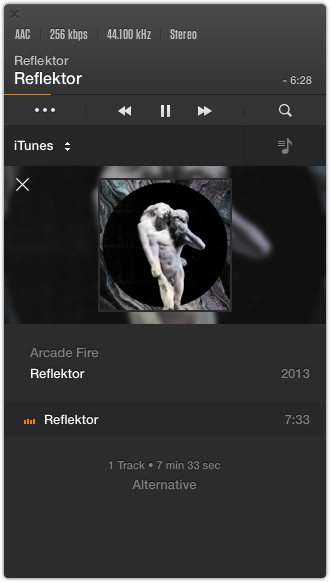 Like iTunes Vox is a audio player and despite not handling video it’s a fuller, lighterweight experience that that of iTunes. Of course you can drag and drop your standard MP3 files for playback but Vox has the added advantage of supporting FLAC files, a file type associated with the highest audio quality possible. Compare a flac file to your standard 192kb MP3 file and you’ll hear for yourself. Does Audio Sound Different In Vox? Coppertino have designed and developed their own audio core processor alternative which iTunes uses, the idea being that even regular MP3 files will sound better if you are listening with Vox. At the time of my first look my speakers decided that it was the right time for the bass unit to pack up and just distort so I’ve not been able to test this claim yet. 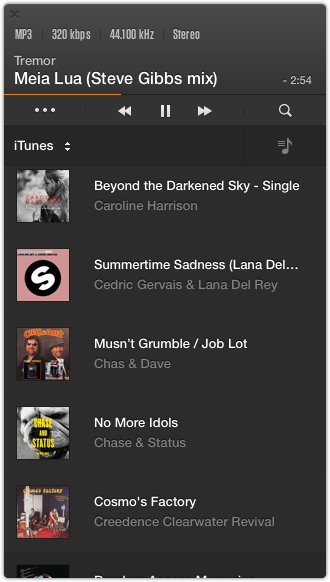 The magic is you don’t need to throw your music files into Vox, once you have downloaded Vox from the App store, your iTunes library will be automatically available in Vox without any manual work needed. It doesn’t move or mess around with your iTunes library instead it works with how you ahve things setup. 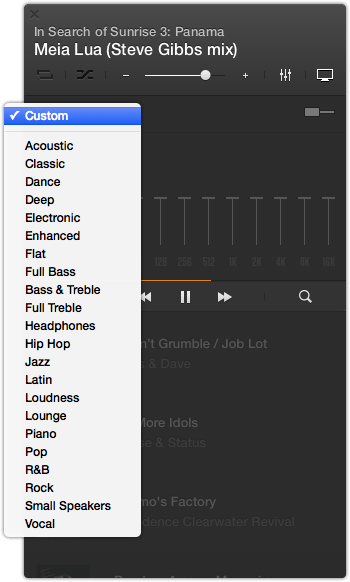 My setup is to keep my music on a NAS and not let iTunes manage my media for example. All you have to do for Vox to work with iTunes is grant access to your music library for iTunes and if you don’t know where that is, don’t worry, Vox knows and tells you just to click Grant Access. A fine example of working with Sandboxing and Mavericks. Why Focus on HD Audio? Coppertino really does believe the market will shift to HD in the next 10 years just as RealPlayer “quality” became a thing of the past. So where can I get Flac Files From? HD content is not that widespread and it can be a tricky situation where the masters need to be converted into the HD format. Converting an MP3 to Flac is a pointless endevour as music fidelity is lost by the MP3 format. Vox really believes in HD and publishers will push out more tracks in HD formats because users will demand it. 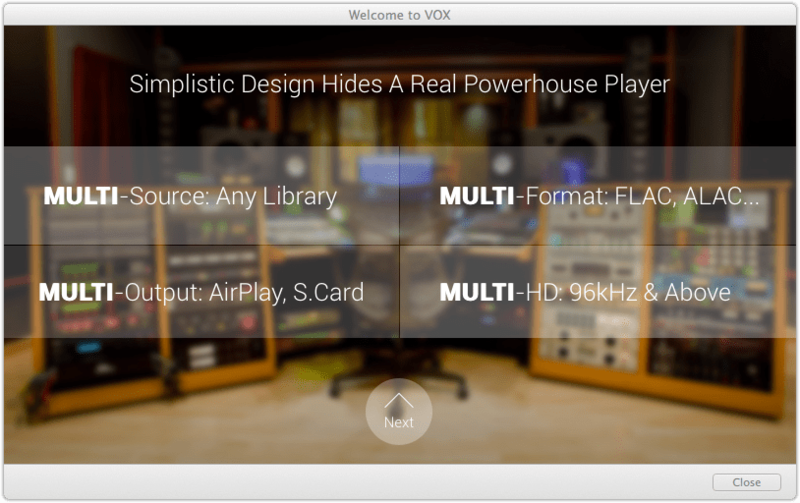 Vox is a free application from the Mac App Store with no strings attached, no hidden fees, no unlocking basic features etc etc. There is an In App Purchase to Access Radio stations (some HD) which would set you back $2.99 or £1.99. Coppertino is planning to roll out a very specific integration with SoundCloud, this integration will allow users to listen to HD and lossless originals of files store on SoundCloud. At the moment there’s no way to expeirence the loosless experience in the embedded browser or iOS devices. Wont Streaming HD Audio Consume Loads Of Bandwidth? HD audio is larger but when you compare to how much is streamed from YouTube these days, streaming HD audio isn’t really a big issue.